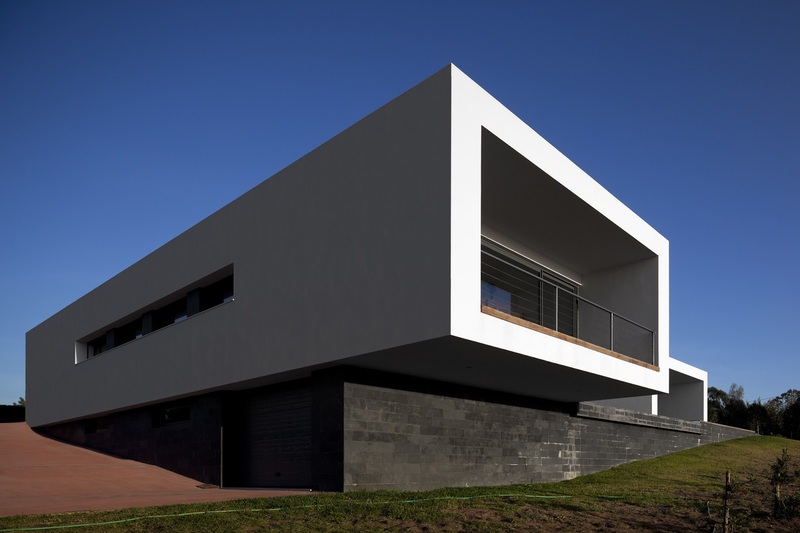 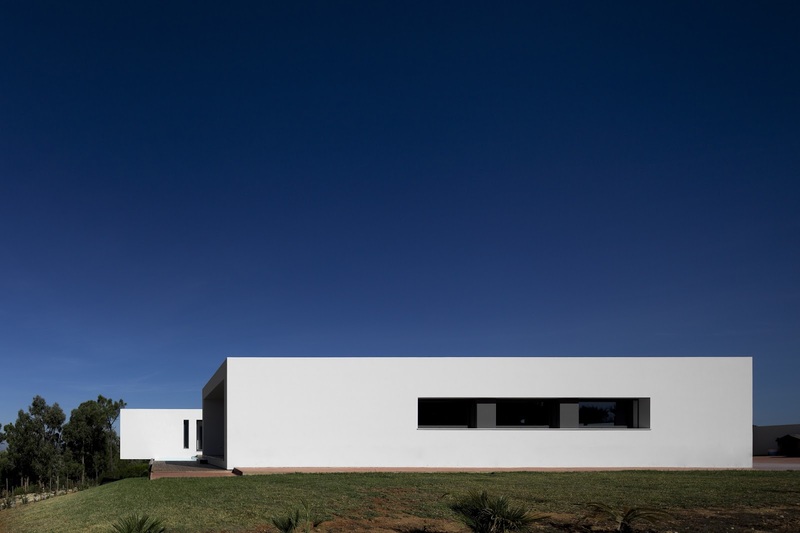 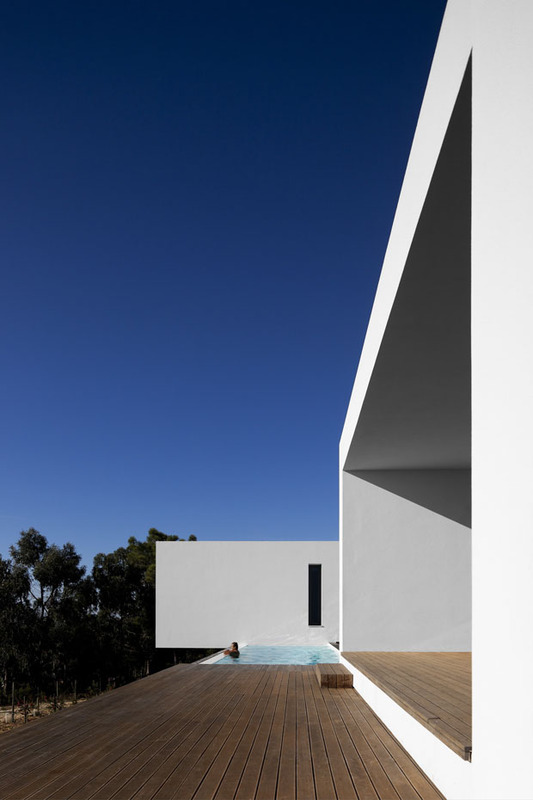 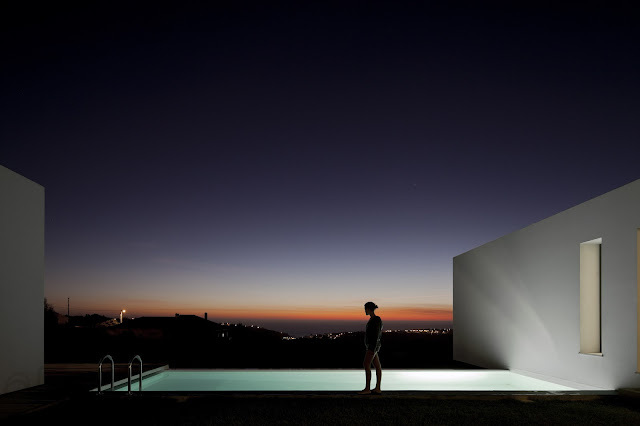 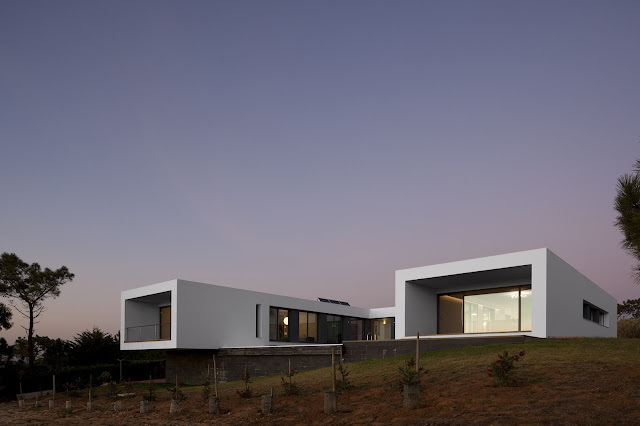 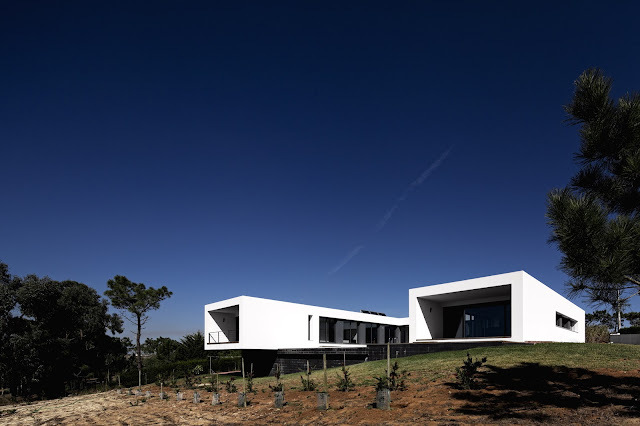 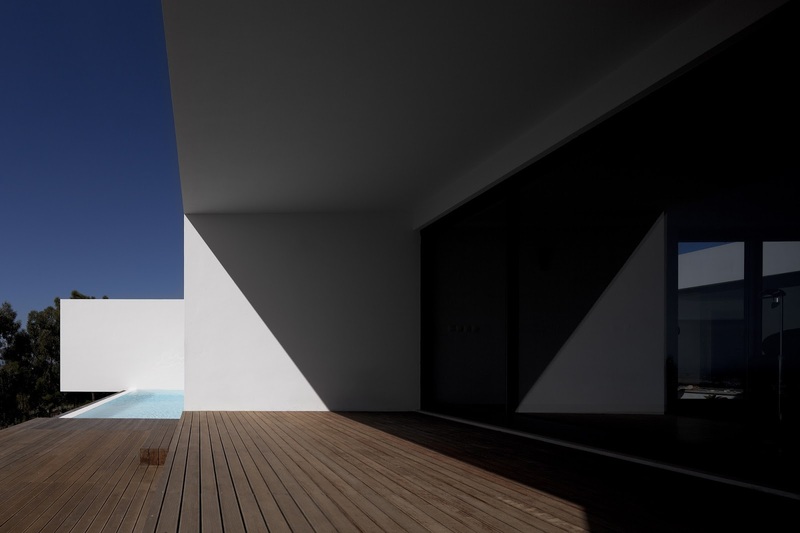 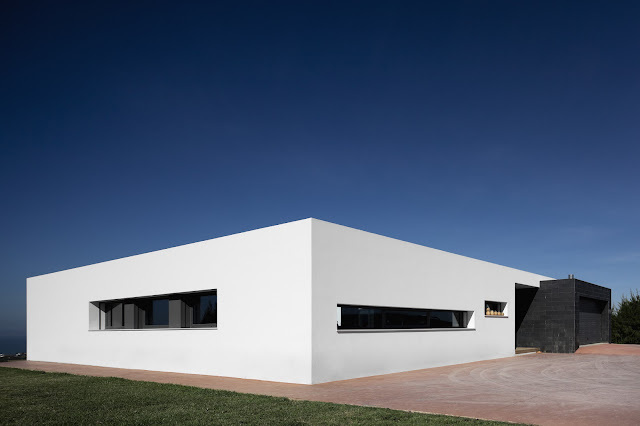 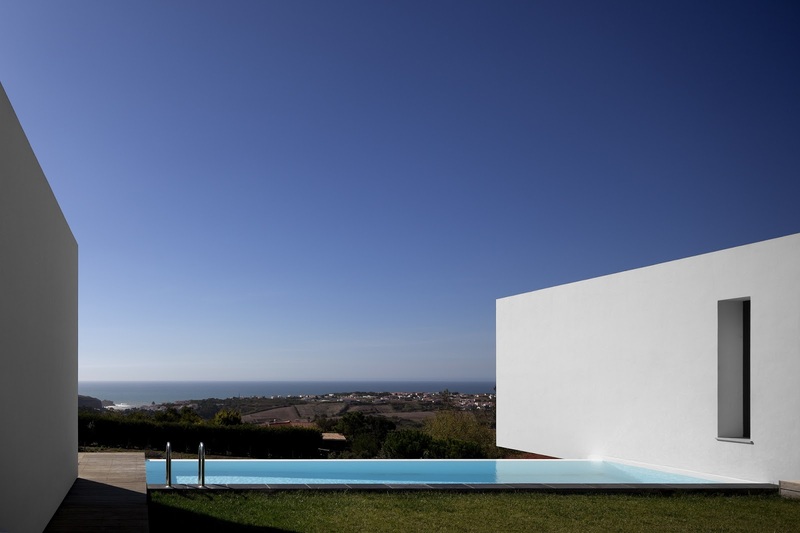 Umodern Contemporary Modern House with White Plaster Finish - Minimal Modern House - The U House located in Ericeira, a World Surfing Reserve, was designed for José Gregório three times national Surf champion and a well known big wave rider, his wife and two daughters. 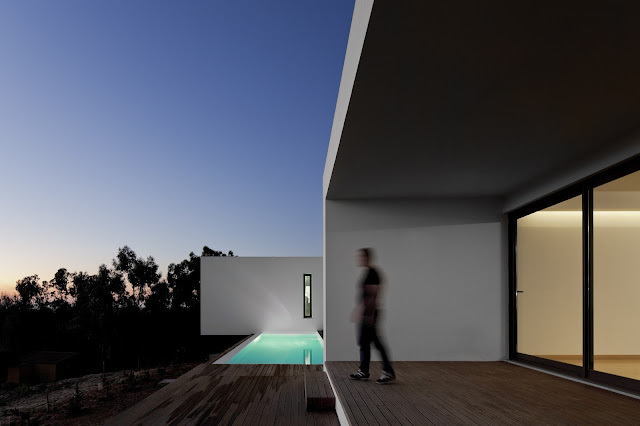 This 300 Square meter house occupies a big lot, surrounded by a dense mesh of trees, on top of a hill overlooking Saint Lorenzo Bay. 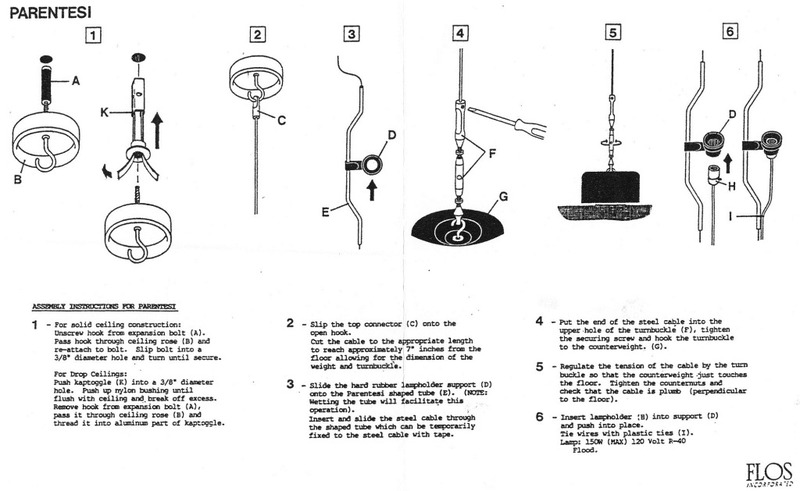 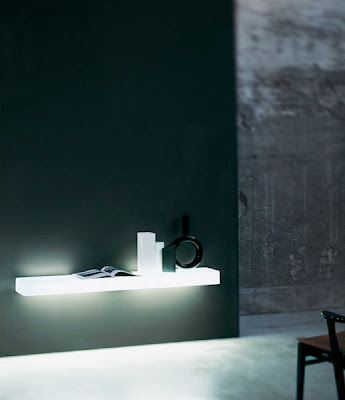 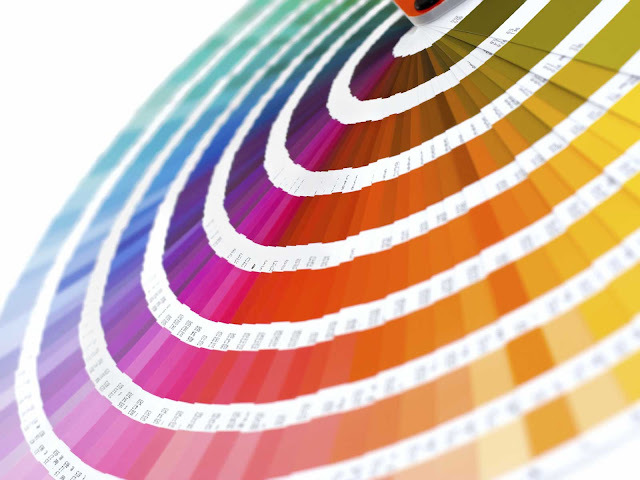 Our mutual interest in sustainability didn’t keep us from wholeheartedly embracing modern design. 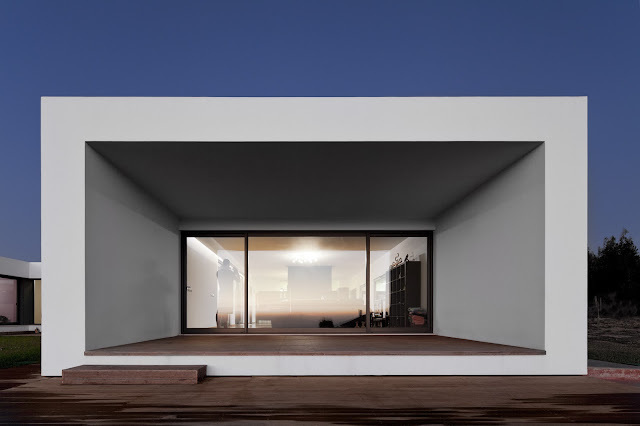 The goal was to avoid green pronouncements, allowing to achieve ascetics and exciting architecture solutions, instead of designing a building fully controlled by superfluous green technologies and merely aggregating raw materials.